Since joint replacement surgery is a major risk factor for a DVT, why isn’t an IVC filter placed in every single joint replacement patient to prevent a pulmonary embolism? IVC stands for inferior vena cava, the major vein that brings de-oxygenated blood back to the heart to be re-oxygenated. An IVC filter blocks blood clots from getting into the lungs (where they can quickly cause death). Such a clot would have broken off from its original location in a lower extremity (where it’s known as a deep vein thrombosis). IVC placement takes 20 minutes. So why isn’t IVC placement a standard postop procedure for joint replacement patients? “Current evidence does not support routine filters in patients,” says Henry Boucher, MD, clinical instructor of Adult Reconstruction at Medstar Union Memorial Orthopaedics, Baltimore, MD. Dr. Boucher explains, “It is true that they can be placed less invasively, but they are not without potential complications—vascular injury, migration, post-thromboembolic issues such as leg swelling and pain. The death tally estimate ranges from 60,000 to 100,000, says the Centers for Disease Control. Doesn’t this statistic justify an IVC placement on a prophylactic basis? Dr. Boucher says, “Filters for all patients would be a huge expense to prevent a complication that typically happens less than one percent of the time after joint replacement surgery. 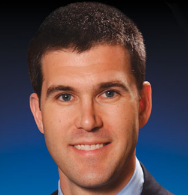 Dr. Boucher’s specialties are hip and knee surgery, replacement and revision, and sports medicine surgery. He has been the recipient of the Golden Apple Award for teaching excellence multiple times. Elderly Patient’s Knee Revision Surgery’s Biggest Risk? When Are IVC Filters Used for Pulmonary Embolus Prevention? Knee Replacement DVT: Patients at Highest Risk?